The Prophet is a classic prose poetry book written by, you guessed it, Kahlil Gibran. 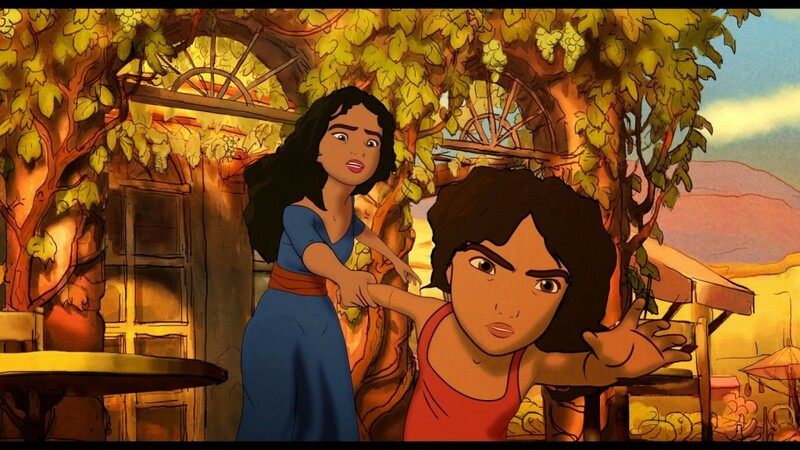 It follows a mysterious prophet named Almustafa living on the island of Orphalese. This mysterious sage prepares to leave on a ship back to his homeland after 12 long years living among the people of Orphalese. The people, desperate for him to stay, beg him to giving them some parting wisdom. The wisdom he shares is displayed in the form of poetic prose that forms the basis of the book. The film in question nobly attempts to bring this significant piece of literature to life on the screen. The immediate problem is that, as a narrative, the source material is incomplete. The book’s focus is on the poetic themes of life, and not the characters and plot. This makes for a significant challenge when trying to formulate something abstract into that would translate well on screen. To his credit, screenwriter Roger Allers writes an engaging screenplay that works well to bridge the gaps of story between the poems. With a star-studded cast of actors, and stunning visuals that truly bring the metaphorical poetry to life, this film is quite enjoyable. However, the film suffers from trying to cast its net too wide in an attempt to bring both young and old together to the theatre. 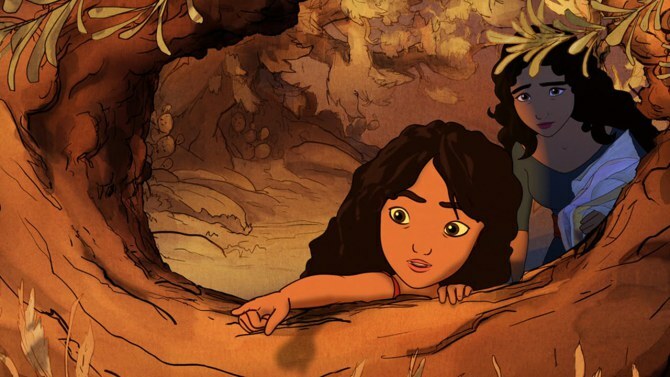 Coupled with the mysterious Almustafa (shortened to Mustafa for the film), is the inclusion of a widow named Kamila (Salma Hayek) who tries valiantly to juggle finding employment and taking care of her wild daughter Almitra (Quvenzhane Wallis) who has become mute since the death of her father. Kamila works as housekeeper to the political prisoner Mustafa (Liam Neeson). Like the book, he longs to return home, however, for the sake of compelling plot, there exists in the town more nefarious antagonists in the form of city guards and their Sergeant (Alfred Molina). As Mustafa makes his way through the town of admiring fans, he spins for them his poetic yarns on topics of life, love, freedom, and the like. 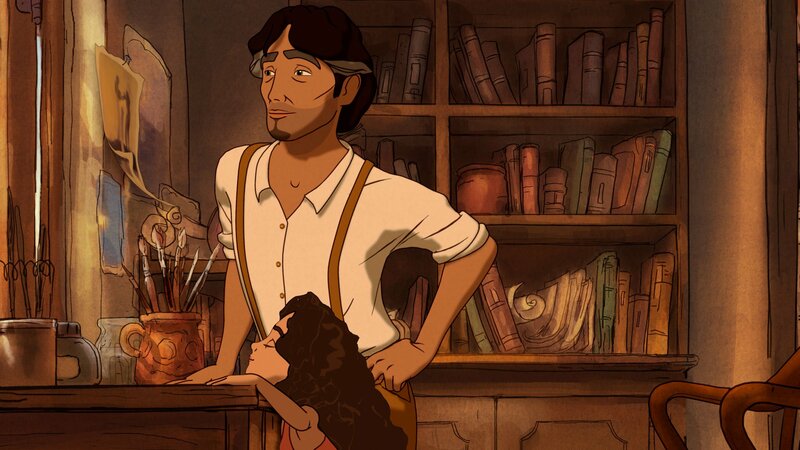 The main narrative is old-fashioned 2D animation, upon which a completely unnecessary CGI cell-shading technique is added. This Disney-esc narrative style would likely appeal to children. It is simplistic, obvious, and colorful. However, each time Mustafa begins his philosophical musings, the style of the film abruptly changes and metaphorical imagery materializes upon the screen. What makes the visualizations of the poems more impressive is that each segment is directed by a different person; the result of which is a variety of styles that somehow effortlessly blend together. While visually striking, the film makes the stylistic choice to allow for the poems to be read in their entirety. These poems are sometimes rather lengthy, and too dense for most children to follow. Parents might find themselves entertained, but children would likely lose interest before the first poem finishes. The end result is a cutesy narrative more appropriate to children (but too shallow for adults), coupled with striking visuals that are appealing to the mature eye (but too abstract and incoherent for a child). It is a noble effort to bring to life such a significant piece of writing to a new generation, but without a clear target audience, the film fails to completely capture the hearts of all involved. This entry was posted on Thursday, August 20th, 2015 at 10:01 pm	and is filed under Film, News. You can follow any responses to this entry through the RSS 2.0 feed. You can skip to the end and leave a response. Pinging is currently not allowed. « Christian Bale Jumps Behind The Wheel of Michael Mann’s ‘Ferrari’!!! What if I told you that the Republic was now under the control of a dark lord of the Sith? No, that's not possible. The Jedi would sense it.